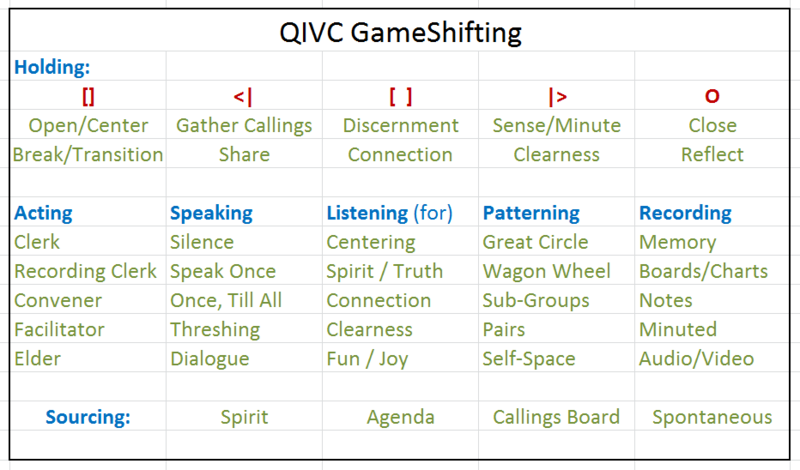 This had me revisit, revise and update some of our GameShifting Documentation and parts of the Agile Facilitator Training Manual. So, I'm going to post some highlights here. “Delta /Change-up” - a call to attention that the group process may need to be GameShifted or that the current process agreements are not being honored. A person can give this hand signal so others can have a chance to wrap up what they’re saying before they say what change-up they see is needed. Sometimes the sign is enough to shift people’s awareness and behavior back on the intended track. “Twinkle fingers / This friend speaks my mind” - this signal is done with wiggling fingers and demonstrates strong resonance with what is being spoken. “Got ya / You have been heard” - This signal is held over the heart and means that the listener has understood the speaker’s point. It includes a gentle nudge that the speaker may move on and release it to the group. It is often helpful when the speaker is repeating a point in different words. If they know they were understood, they know they can move on. For example, this explanation may have warranted a “got ya” sign a sentence or two ago. The explanation continues in order to be sure the point is driven home, but if someone was here to utilize the “got ya” sign, it would have saved us all some valuable reading time.